A diagnosis of rheumatoid arthritis doesn’t have to stop your plans of having a family but it is important to have a full understand of what to expect, as any other expectant mother would want. 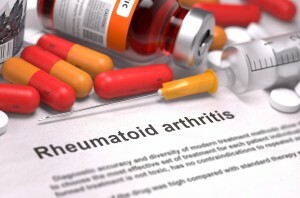 There is nothing to suggest that having Rheumatoid Arthritis should effect your chances of getting pregnant although it is important to discuss your medication with your doctor before trying to conceive. Some medications can affect the foetus from very early on in its development and so you may need to work with your doctor to bring down the levels of some of your medication. You will also need to make sure you have a prescription for all the necessary prenatal vitamins and folic acid supplements and you may find your doctor wants you to take additional calcium and vitamin D supplements too. What to Expect in the First Trimester? Living with Rheumatoid Arthritis can mean you regularly suffer with bouts of fatigue and unfortunately in early pregnancy you can expect these to increase. A study conducted in 2008 also found that your usual arthritis symptoms may lessen during the first few months of pregnancy. You may also experience morning sickness, like any expectant mother. What to Expect in the Second Trimester? Research shows that around 70% of women with Rheumatoid Arthritis see their symptoms improve in by the beginning of the second trimester and this improvement can continue throughout the whole pregnancy and after birth. What to Expect in the Third Trimester? If you were one of the many women who saw your arthritic symptoms improve in the second trimester than this should continue into the third, although most women, both with and without the disease find themselves becoming more tired and fatigued as their due date approaches. Rheumatoid arthritis may slightly increase your risk of a premature baby but it doesn’t increase the risk of having a baby with a low birth weight, if research carried out in 2006 at the University of Washington is to be believed. If you have rheumatoid arthritis there may also be a slight increase in the chance of your baby being delivered by caesarean section as arthritis, especially of the hip, can make vaginal birth difficult. Your medical team should discuss with you which option is best for your needs and the safety of you and your baby. If you have had the good fortune of your disease becoming less painful during your pregnancy, then it is likely that you will unfortunately feel the return of your symptoms. Most new mothers experience at least one flare up post-partum and after delivery it is important to once again talk to your doctor about your medication, especially in relation to any plans to breastfeed. If you would like to know more please contact Dr Stephanie Barrett.